I love soup regardless of the weather, but some soups do taste better when it is cool. And this week has been cool. Almost fall like, the wind has been blowing and it has been overcast. The sun was not able to break through the clouds all day today. What better way to celebrate the seasonal change than a steamy spicy creamy broth soup brimming with noodles, veggies and fresh herbs. Living in a small town has many benefits, but along with the good there can be pitfalls as well. Access to medical and dental services being one of the biggest. 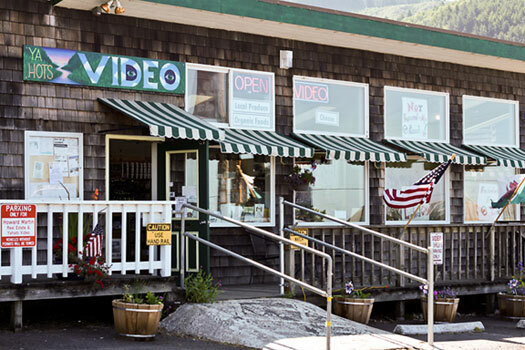 Here in Yachats, we are fortunate enough to have a video store that also carries organic produce and organic spices, herbs, grains and salts (they actually sell 15 different kinds). This is where I purchase many of my curries and spices. Today’s recipe is from the “Pure Delicious”, cookbook by Heather Christo. This same soup is also posted on her blog. I followed the instructions very closely but added a little more spice and some veggies. A rich creamy spicy broth brimming with veggies, noodles and herbs. Perfect for lunch or dinner. Bring a large salted pot of water to boil. Add noodles and boil for 3 minutes. (check package, depends on what type and thickness of noodles used). Drain and rinse noodles. Set aside. Place garlic, ginger and red curry paste into food processor, add coconut oil. Pulse to combine, mix well. In a large soup pot over medium heat sauté ginger, garlic and red pepper paste for 1 to 2 minutes. Add broth to deglaze pot. Add coconut milk and veggies, then let simmer; about 5 minutes. Add noodles, let ingredients simmer together another few minutes. Ladle soup into bowls and garnish with cilantro and basil. Add red pepper. Serve with Sriracha Hot Chili Sauce. Enjoy! Kind of crazy right, not too many of those around any more. Thanks Tandy! I wish I was holding one of your delicious noodle bowls! Thanks Angie, that means a lot. I have been craving thai curry noodles the last few days, and I haven’t made them. And these veggie noodles look absolutely awesome. I need them in my life. Thanks Anu, we loved this soup!! Love flavorful soups like this! And any soup with noodles gets my attention. Great combo of flavors -- this will be perfect for the weather we'll be having in about a month. Thanks! Thanks John, this week has been a cool one for us. Take care! I know kind of crazy right? but they have some pretty obscure stuff, hope you are having a great week, thanks Dena! Thanks Peggy, you are so kind. What a delicious looking soup. The weather is still hot and dry here, but all too soon I'll be dragging out the stock pot. This will be one of the first soups to grace my fall table. Thanks for the recipe. Thanks Karen, hope you enjoy this as much as we did. Hi Shari, we are not big coconut people but we loved this, take care! I eat soup all year round and I love the looks of this with the veggie noodles! Thanks Marcie, soup is my favorite meal. You said it so much better than I did Monica, yes on everything. Thanks!! Wow Cheri - this looks delicious. The color is wonderful. I would add more spice too and soup is great any day, any time! Thanks Tricia, soup is great anytime. Hope you are having a great week-end. We've had some cool, rainy days, too. Very unusual for August, but they put me in the mood for comfort food. Your soup sounds incredible!! Unusual weather seems to be every where this year. Makes growing and planning more eventful. Thanks for stopping by Liz. I love thai food. This soup looks beautiful and the recipe sounds so flavorful! Thanks Kushi, Thai food is my favorite. Oh my, I envy your cooler weather trend..I'm not a huge soup fan but I do love ramen...And your Thai rendition of the dish looks uber-delicious! #yummy! Ramen is new to me but I absolutely love it. Thanks Kim. I love your video store! Dinner AND a movie! The soup looks absolutely delicious - I need to make another batch of red curry paste soon so I can try this. Your cool gray weather looks refreshing, although this monsoon season in Tucson has been wonderful. Every morning is cool, and the desert loves all the rain! Wow David, you make your own curry paste, I bet it is delicious. Dinner and a movie, lol!!! wish I would of thought of that. Thanks! Hi Mindy, just got back from Seattle and it was hotter than a pistol. Hoping for cooler weather. I love spicy too when it's hot outside, too funny. This soup looks delicious. It's been foggy and cool here in Santa Cruz, just perfect for soup. Just got back into town last night, it is foggy and cool here as well. Thanks for stopping by Gerlinde. I love thai curry of any kind! This soup sounds just perfect! Thanks Ashley, I'm a curry fiend too! This is my kind of soup. I'll just wait for the heat to subside, then I'm gonna give it a go! Thanks Mike, hope you like it as much as we did. What a great place to buy your ingredients! This is the perfect late summer dish. Thanks Caroline, we enjoyed this very much. I like soup no matter the season as well. This in particular sounds so flavorful and healthy - just my kind of dinner. Great photos of your soup, Cheri. Making my mouth water. Love recipes like this...have saved it already. AAAwww, thanks Barbara, take care and have a nice holiday week-end. It's been raining cats and dogs here! I would love to have a bowl of that noodle soup right now. Looks really good, Cheri! We have had crazy weather here too, one day it's raining the next it's crazy warm. Thanks Marcelle! Your video store reminds me of some of the Indian grocery stores here in the US, they also have an extensive video section for Bollywood movies! I always thought that was funny but I guess it's convenient! This is soup sounds lovely.. A bit like laksa with the curry paste, noodles and vegetables. My favourite things and flavourings! It must be cooling down, because I've made two soups in the past few days! Yours looks lovely. Veggie noodle soup is probably one of my favorite foods so I was excited to see your Thai Curry take on it! As expected, this looks amazing! Definitely on my must make list! Delightful that you pop by my blog and left me a nice comment. I am planning to make a Thai curry noodle dish soon too!